Diamond scams are more common than you may know or want to believe. Knowing how to avoid them will keep your cherished symbol of love safe. 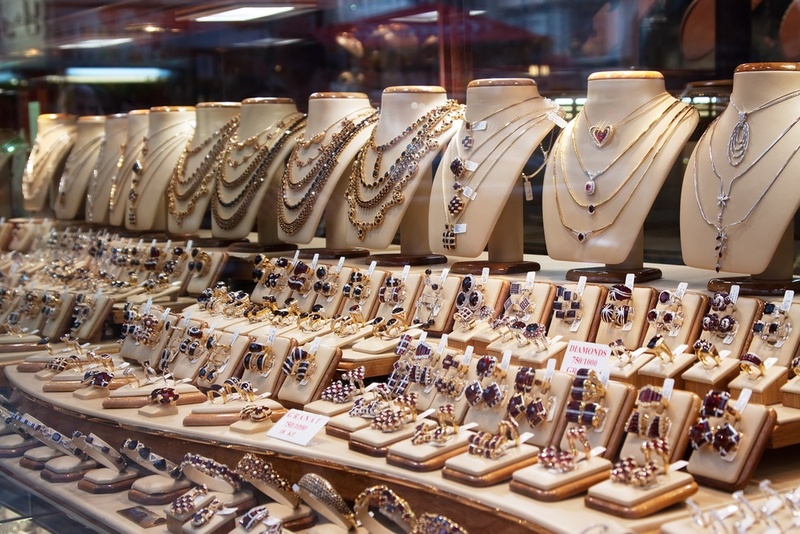 Even big name jewelers have been accused of diamond scams. Kay Jewelers, one of the biggest retailers of engagement and wedding rings was accused of swapping out the diamond of one customer’s $4,300 engagement with moissanite, with other customers coming out with similar claims after she took her story public. There have been other brides and future brides with similar accusations against other local jewelers and big box stores. This is the “old switcheroo,” and getting the 4Cs in writing on your receipt is the only way to avoid this scam. Sadly, these diamond scams are a reality, and even taking your precious gem to a big name retailer comes with risk. The best way to protect yourself is to be educated about your initial purchase and what service and repairs should entail. Let’s take a closer look at a few of the most common diamond scams and how you can take action to avoid them. Carat total weight (CTW) diamond scams are among the most common. And this scam can really affect an uniformed customer’s pocket book. “The tag on the piece of jewelry, usually a ring, only states the total carat weight of all diamonds in the piece, instead of listing the total weights separately for each diamond,” explains eBay. If you don’t know the weight and quality of the center diamond, you simply can’t compare prices accurately. This can lead to overpaying, because one large diamond is worth far more than a collection of smaller ones. For example, a one-carat diamond may be worth $5,000. However, several diamonds weighing one-carat of the same rating may be worth only $1,500. This is certainly a huge difference in worth. Avoid this diamond scam by asking for the specific weight and quality of the center stone. Get it in writing, and if they refuse, walk away. Many jewelers will mark up diamonds 400 percent and then stick a 50 percent sticker on them. 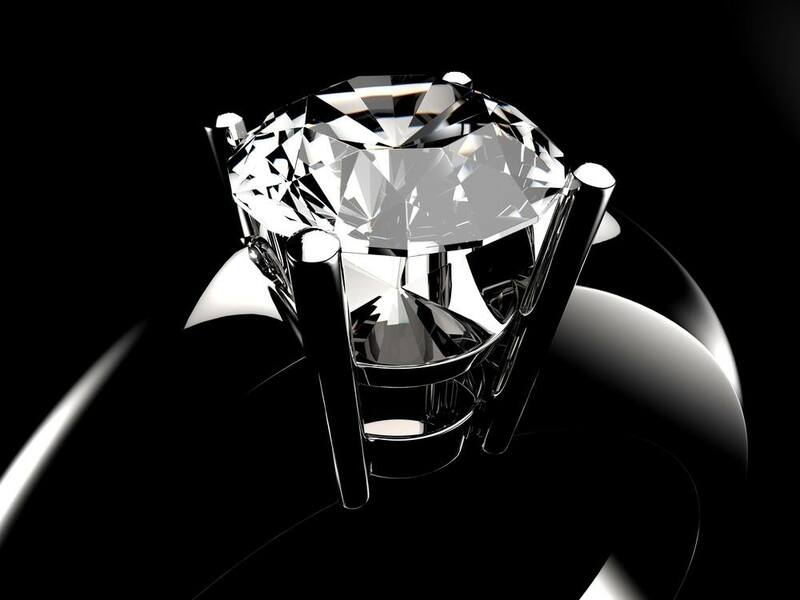 When it comes to deeply discounted diamonds, you are almost certainly paying for more than what you get. Worried that affordable diamond ring you found might be a scam? Here are a few ways to check. Jewelers may be rounding up when it comes to a diamond’s weight. And this is a scam that can cost you hundreds of dollars. These are simple fractions buyers can relate to. However, a diamond’s weight is expressed in decimals by jewelers. The ¾ carat diamond you have your eye on may actually weight 0.69 carat. And a 0.69 carat diamond labeled ¾ carat may be worth nearly $1000 less. It is impossible to weigh a diamond accurately after it has been set into a ring. To ensure you get what you pay for, ask the jeweler to give you the exact weight of the center diamond. If they refuse, you know a scam may be underfoot. The best way to avoid this kind of scam is to buy a certified loose diamond and a setting separately. This way you know exactly what you are putting into the ring of your choice and do not have to rely on what a jeweler claims a stone to be. Fracture filling is used to enhance the clarity of a diamond in order to sell the stone for more. However, these diamonds are still flawed and can be damaged during resizing and cleaning. Vanessa Cole, a San Diego jeweler specializing in engagement rings told Glamour that, “Heat—from a torch, if the ring has to be resized, or even an ultrasonic jewelry cleaner—can leave a crack or fissure in clarity enhanced diamonds. In short: Avoid ’em.” The resulting fissures make the stones weak and prone to chipping, cracking, or even falling to pieces. Because of this, a fracture filled diamond is often considered worthless. Even though it might look a little better than the unenhanced stone, it holds less value than the diamond did in its natural state. Fracture filled diamonds are nearly impossible to spot with an untrained eye. But it is reassuring to know that gem labs most likely will not issue a certificate for fracture filled diamonds, and if they do, they will plainly state that the stone has been enhanced in this fashion. To avoid these flawed stones, ask the jeweler for a written statement regarding color and clarity enhancements, and ask for a certificate from the GIA, AGS, or EGL as well. If you are a savvy diamond buyer, you will most certainly ask for a certificate to support what a jeweler is pitching. These certificates should be issued by the GIA, AGS, or EGL. However, some jewelers may alter those trusted certificates. This is a challenging diamond scam for jewelers to pull off, but it happens. The certificates issued by reputable gem labs feature many security features to prevent said alterations. To avoid getting an altered diamond certificate, inspect it as closely as you did the diamond. A GIA report looks like this. If a certificate is missing any of the security features or looks like it has been tampered with, keep your wallet in your pocket and leave the store immediately. If you suspect that a jeweler has altered a certificate from a major lab, you should report that jeweler to the laboratory in question. 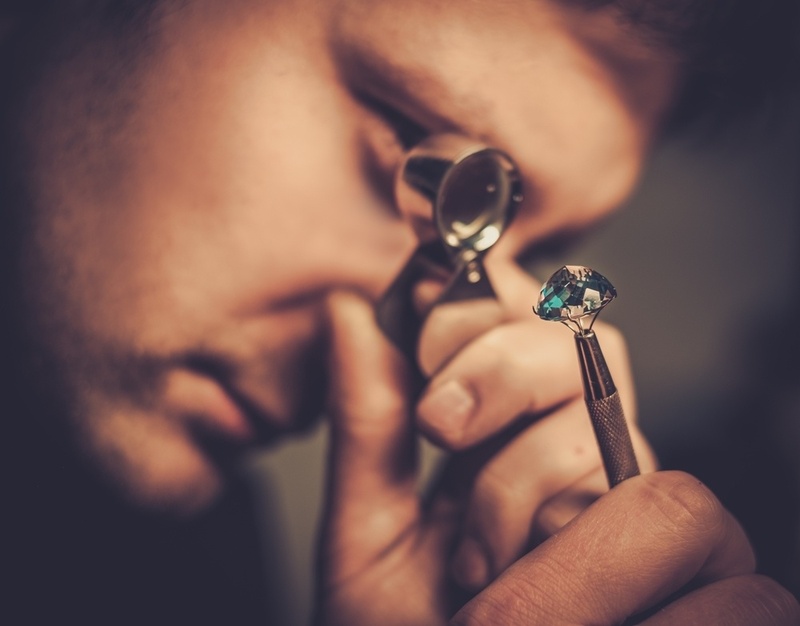 Gemological laboratories take their reputations seriously and will pursue scam artists that alter their certificates to the fullest extent of the law. Some jewelers will also present certificates from generic labs that they may own. These are also unacceptable if not accompanied with a certificate from the GIA, AGS, or EGL to back up the lesser known report. The GIA has also developed an online check tool for you to verify a GIA report you are shown against their own digital database. The Kay Jewelers incident is a prime example of a switcheroo scam in which a diamond is switched for a lesser value stone, often not even a real diamond, when a piece is in for repairs or maintenance. The time you put into educating yourself when you first made the purchase pays off the most when avoiding these scams. First, only take your ring to places you trust. If your purchase had a warranty, you should only take it to the place of original purchase to ensure the warranty remains valid. In addition, your investment in a certified diamond means that you will always have a certificate to check the diamond to before and after leaving it for service. Most certified diamonds these days are laser inscribed with the report number of the girdle, and a jeweler should be able to read this number back to you for verification at drop off and pick up. Just be sure that you keep the report in your possession. If your diamond is not inscribed, you can have another appraiser verify the diamond using the details of the certificate. When buying a diamond, do your homework and become a savvy customer. Know the 4Cs of a diamond, ask for a certificate from a reputable lab, and get everything in writing prior to leaving the store. Ensure your symbol of love remains as precious as the day you bought it.